This past Sunday I had the privilege of Baptizing a little girl at our Church in Frobisher and then going back to the families’ house to take some photos. I’m the pastor who officiates your rite, then takes your pictures! 😉 Weddings come as a two for one special, ceremony & the photos cheap! The follow up party was a lot of fun and there were lots of photos to be had. I took my camera bag and used my 50mm f/1.8 lens to nab all the shots. We were inside which meant higher ISOs than I would have preferred but you’ve got to do what you’ve got to do to get the exposure. I approached the event from a casual/candid/photojournalism type style with only a couple of “posed” shots. It was a lot of fun and the family was very gracious to allow me to celebrate their special day with them. 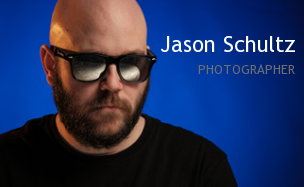 This entry was posted on February 24, 2011 by schultzphotographic. It was filed under Event Photography and was tagged with 50mm f/1.8, Baptism, D300s, Family Photos, Nikon, Photography.